The Cisco Catalyst Blade Switch 3020 for HP c-Class BladeSystem provides HP customers with an integrated switching platform providing Cisco resiliency, advanced security and enhanced manageability to the server edge while dramatically reducing cabling requirements. 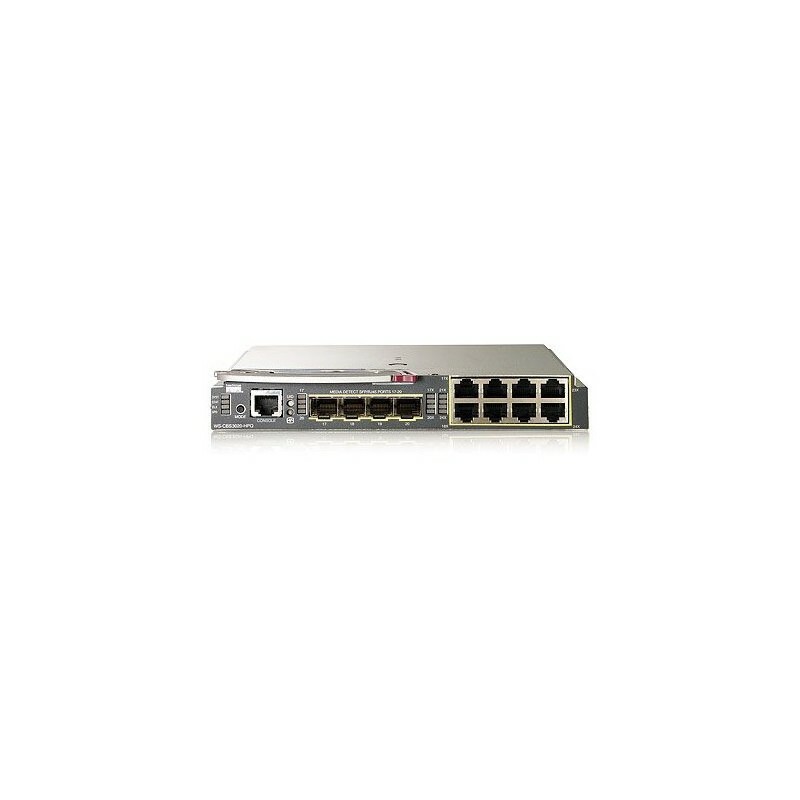 The Catalyst Blade Switch 3020 capitalizes on your current Cisco network infrastructure to reduce the total cost of implementation and ownership. By utilizing the advanced Cisco end-to-end management framework, customers can simplify current and future deployments reducing implementation and management costs. Flexible to fit your needs - The Catalyst Blade Switch 3020 is designed with sixteen internal 1Gb downlinks and eight 1Gb RJ-45 copper uplinks. Up to four uplinks can be optionally configured as fiber SX links. Two uplinks can optionally be configured as internal cross-connects. • The Cisco Catalyst Blade Switch 3020 for HP c-Class BladeSystem is fully compatible with Cisco CiscoWorks Software, providing extensive management using SNMP network management platforms on HP blade servers.